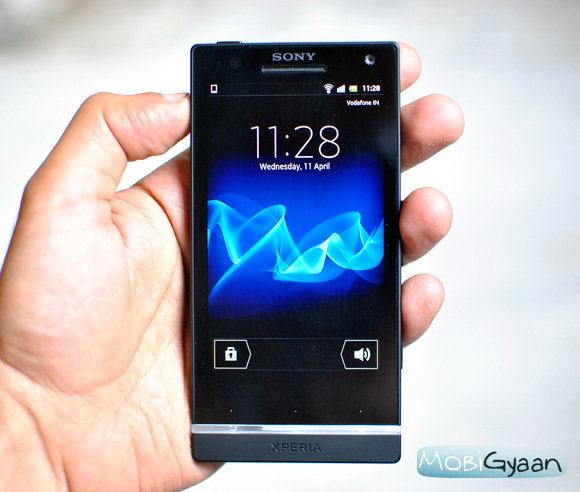 Sony introduced its NXT range of smartphones in India yesterday with the launch of the Xperia S smartphone. 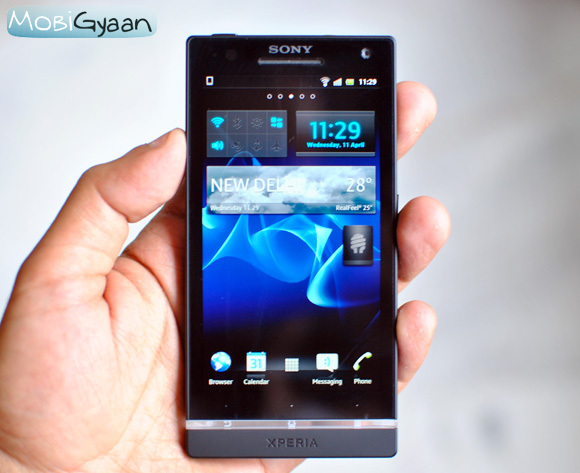 The sleek smartphone is the first from Sony Mobile Communications and the flagship smartphone is available in India for Rs. 32,549. 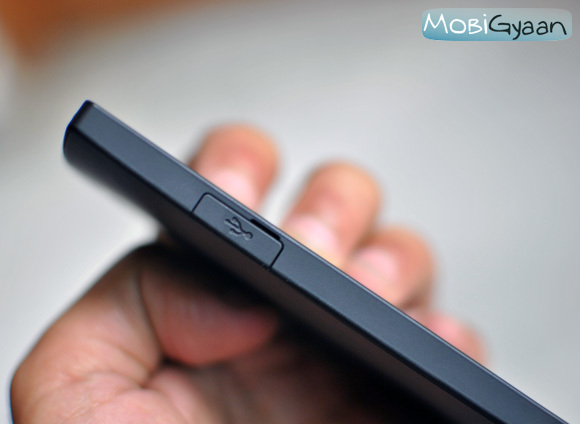 We got our hands on the smartphone so we thought of teasing you a bit with some hands on pictures of the device. 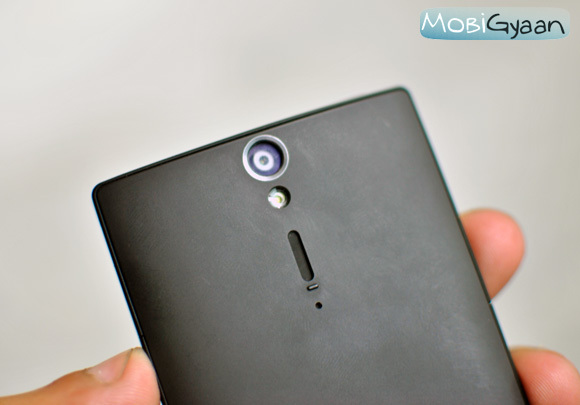 The 12MP camera at the back is pretty quick with the shutter and records amazing 1080p HD videos. 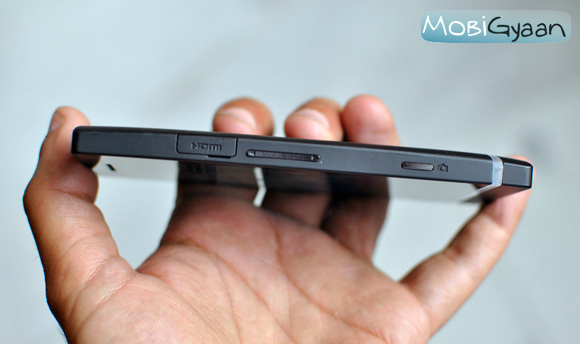 The handset is loaded with microUSB and micro-HDMI ports, covered with rubber caps. The thin LED strip is pretty fancy and lights up with a nice white glow. Quite a bright display with some new widgets. 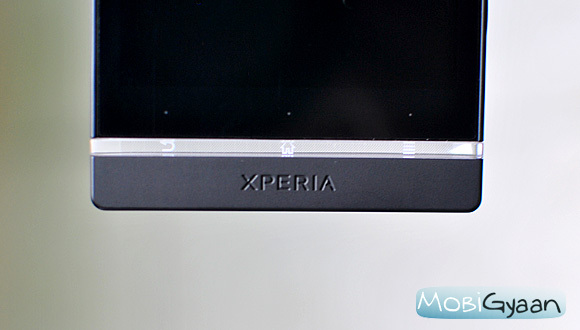 We’ll posting the review of the Xperia S soon, so do check it out. 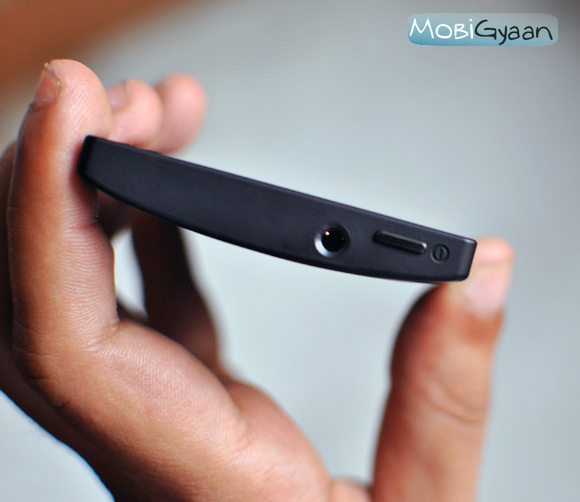 Also feel free to ask any questions or give any comments about the device.